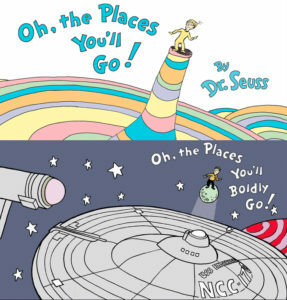 Take that, DR. SEUSS; TREK MASH-UP is legally FAIR USE! I’ve been watching this case closely for nearly two years, fascinated by the question of whether a”mash-up” of two separate intellectual properties (in this case STAR TREK and DR. SEUSS) could be successfully defended against a copyright infringement lawsuit using a defense of FAIR USE. For a more complete history of this case, check out any of my previous 15 blogs on the subject (I told you I was watching it closely!). In short, DAVID GERROLD (the creator of the tribbles) and TY TEMPLETON (award-winning comic book artist) set out to create a Seuss/Trek mash-up book called Oh, the Places You’ll Boldly Go! Together with their publisher ComicMix, they set up a Kickstarter in late 2016 to fund a run of 5,000 printed copies of the book to sell through ThinkGeek. They raised about $30,000 when Dr. Seuss Enterprises (DSE) contacted Kickstarter with a DMCA takedown notice. The money was never collected. Six weeks later, DSE sued the mash-up team for both copyright and trademark infringement. The case was an emotional rollercoaster ride for both sides, with the judge at one point dismissing the trademark claims and then later (after a re-refiling by DSE) reinstating the trademark claims. On the copyright complaint side of things (different than trademark), the judge was ready to dismiss the case outright on grounds of Fair Use, but she gave DSE one chance to prove market harm by Team Mash-up. DSE was able to make a strong enough argument for financial damages that the judge allowed the case to move forward. That was 14 months ago. The case has been complex, to say the least! And it had the potential, according to Ninth Circuit Federal Judge Hon. JANIS SAMMARTINO, to quite literally determine the fate of nearly all mash-ups well into the future. Would this new art form die in its infancy? Was it even a true art form? All of her rulings were carefully considered, and nothing was rushed. After more than two years of legal wrangling, filings, responses, discovery and evidence and testimony, and motions for summary judgement, it all came down to pre-trial oral arguments made in Judge Sammartino’s San Diego Courtroom five weeks ago on February 7. So what exactly happened, and is this case finally over…? Author Jonathan LanePosted on March 12, 2019 March 13, 2019 Categories Editorials, NewsTags ComicMix, David Gerrold, Dr. Seuss, DSE, Glenn Hauman, Lawsuit, Oh the Places You'll Boldly Go!, Ty Templeton33 Comments on Take that, DR. SEUSS; TREK MASH-UP is legally FAIR USE! Yesterday, I recounted the two-year history of Star Trek‘s “other” major infringement lawsuit. 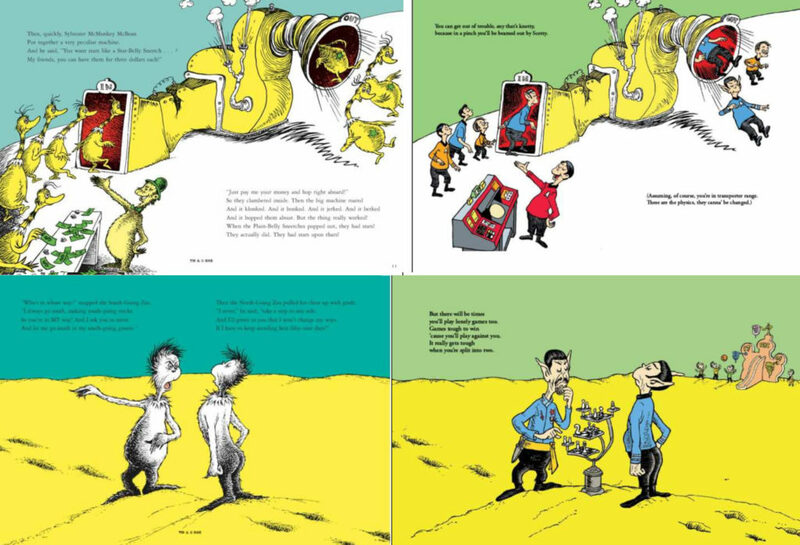 Back in 2016, tribble creator DAVID GERROLD and comic book artist TY TEMPLETON teamed up to create what they considered to be a parody mash-up of Star Trek and Dr. Seuss, a book they intended to call Oh, the Places You’ll Boldly Go! Along with publisher ComicMix, they launched a Kickstarter which took in about $30,000 before being shut down when Dr. Seuss Enterprises (DSE) sued all three of them for both copyright and trademark infringement. No money was ever collected from the crowd-funding campaign. It’s just over two years later, and after a roller coaster ride for both plaintiff and defendants (see Part 1), we’re now in the final weeks before the start of the actual trial in early spring. Following long months of motion-filing, jockeying for position with Judge JANIS SAMMARTINO of the Federal Ninth Circuit, and collecting pre-trial testimony and documents from witnesses during the discovery phase, it’s time for one final “Hail Mary” pass from each side. Yesterday, I reviewed the defense team’s motion to dismiss the case (read it here in its entirety) on the grounds that DSE didn’t really prove any realistic monetary damages (meaning that the mash-up should be considered as Fair Use and the complaint dismissed) and also that DSE’s remaining two trademark claims from font and art style weren’t valid. The defense arguments were solid and generally convincing…at least to me. But then I read through the plaintiff’s motion for summary judgment. Like the defense team, DSE would like this case to end before it ever goes to court (and they rack up another six figures in legal bills!). But while Team Mash-up wants the judge to dismiss the lawsuit entirely, DSE would prefer the judge to rule that the defendants are obviously liable for multiple counts of willful copyright and trademark infringement and should be forced to pay hundreds of thousands of dollars in damages. And why trouble a jury when the final verdict is so obvious? Many Fans down in Fanville like mash-ups a lot. But Dr. Seuss Enterprises, or DSE for short, did not. to the late Dr. Seuss’ entire literary collection. tried to mix Seuss and Star Trek, DSE had their quibbles. for infringement of copyright…and trademark, to boot! The defendants were Gerrold and his artist, Ty Templeton. They also named the publisher, to add to their fun. Okay, I’m going to stop blogging in rhyme now. Instead, let me tell you about some major developments in the Dr. Seuss/Star Trek mash-up lawsuit. On December 11, both the plaintiff and defendants filed 20-page briefs (memoranda) supporting their latest motions before the judge. A hearing is scheduled for January 31 at 1:30pm in the San Diego courtroom of Hon. Janis L. Sammaritno, federal judge on the Ninth Circuit (the same circuit that had jurisdiction in the Axanar lawsuit, although a different judge than Axanar had). Judge Sammartino’s rulings on these pre-trial motions could affect this case in VERY significant ways. If she grants the defense motion for summary dismissal, the case could be over or potentially cut off at the knees for the plaintiffs. On the other hand, if she grants the plaintiff’s motion, “Team Mash-up” (as I like to call them) could lose before ever going before a jury. The stakes are as high as they’ve ever been. Have you ever given a few bucks to a street performer? Maybe it was a guy juggling bowling balls while riding a 10-foot high unicycle…or a woman playing seven different musical instruments at the same time. The reason you might drop a few coins or dollars into their hat is that these folks entertain you. They’re talented, and they use those skills to bring some fun and joy into your day…and maybe show you something you probably don’t get to see very often (if ever). What does any of this have to do with the proposed Oh, the Places You’ll Boldly Go! 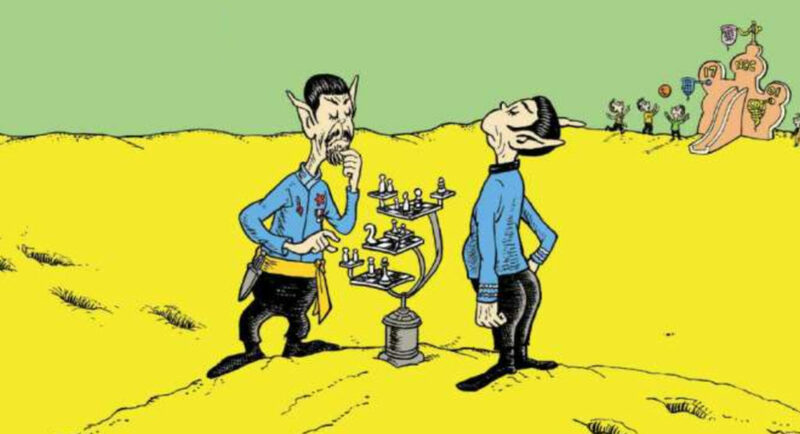 illustrated book mashing up Star Trek with Dr. Seuss? 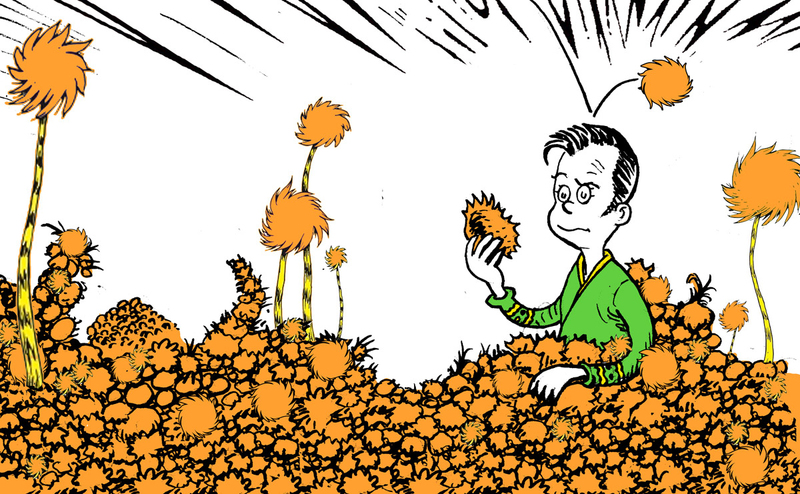 As you probably know, an infringement lawsuit was filed by Dr. Seuss Enterprises (DSE) against creators DAVID GERROLD, TY TEMPLETON, and ComicMix, which intended to publish the book. (To learn more about the lawsuit, read my latest update from a couple of weeks ago.) Recently, ComicMix launched a GoFundMe campaign to raise money to help pay the costs for their legal defense. But Glenn’s not done rhyming yet…! 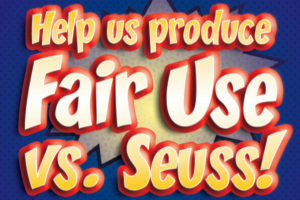 Last time, I discussed the new GoFundMe campaign implemented by ComicMix, LLC to assist in paying legal fees associated with an infringement lawsuit filed by Dr. Seuss Enterprises (DSE) back in late 2016. The lawsuit has been a very active one, with 13 notices, 14 motions, 7 responses, 6 replies, 28 judicial orders, and 1 amended complaint (so far)…and the date of trial isn’t until next spring! The lawyers on both sides have been VERY busy…which is mainly why this lawsuit is costing so much. Most recently, Hon. Judge Janis Samartino of the Ninth Circuit Federal Court in San Diego made two very significant rulings that will likely have a major impact on this case. One was clearly a win for the defense (“Team Mash-up” as I call them) and was actually covered by The Hollywood Reporter (and other media outlets) two months ago with the headline: “‘Star Trek’/Dr. Seuss Mashup Creator Beats Trademark Claims.” That made it almost sound like the case was over. Not even close! The “victory” by Team Mash-up was only partial, albeit important. I’ll explain that shortly. Then last month, another ruling came down striking 11 affirmative defense claims that Team Mash-up intended to use to argue their case. That’s the legal equivalent of taking 11 arrows away from an archer going into battle who only has 37 arrows to begin with. So this time, it was a victory for the plaintiff…although, again, only a partial one. This lawsuit—a very important case that could set a significant precedent in the emerging art form of the “mash-up”—has turned into a fascinating game of chess. And as I’ve done before on this blog, I’d like to translate all the boring legalese into enjoyable English so you folks who are interested can get a layperson’s update on this fascinating case. Oh, The Places You’ll Boldly GoFundMe! Mash-up mess-up! Seuss sues! 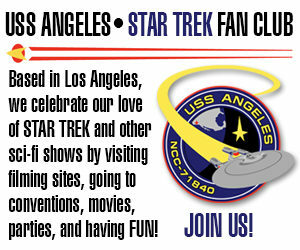 Tricky Trekkies find fans to fund! …or at least that’s the short form of the story so far. As I’ve covered in a series of blogs over the past year, copyright and trademark precedent is being made right under our very noses, and Star Trek is right smack dab in the middle of it! 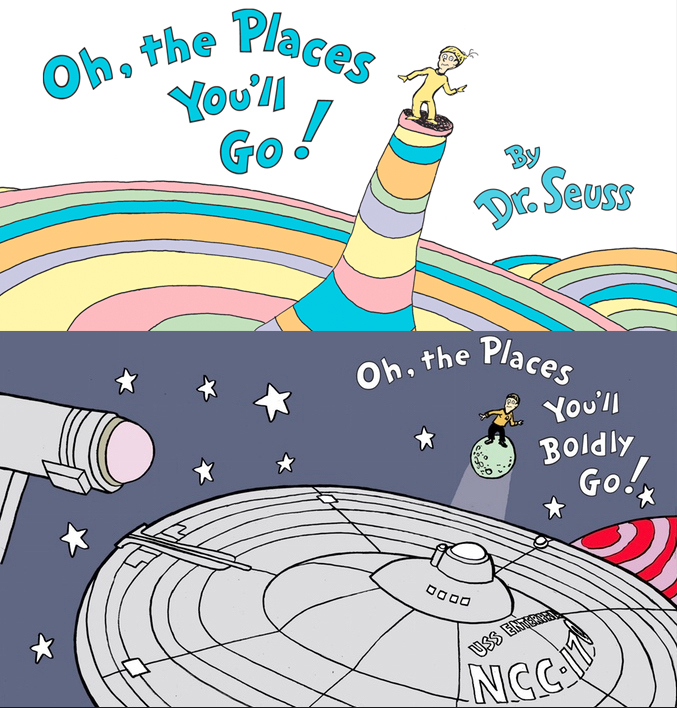 But this time, it’s not a fan film in the thick of things but an unpublished attempt to mash-up Star Trek and Dr. Seuss into a fun (but allegedly not entirely allowable) illustrated book intended to be titled Oh, The Places You’ll Boldly Go! Written by Star Trek‘s own DAVID GERROLD (creator of the tribbles) and illustrated by TY TEMPLETON (Eisner award-winning mainstream comic book artist), this project was going to be crowd-funded through Kickstarter and managed to raise $30,000 in September of 2016. But Dr. Seuss Enterprises (DSE) asserted their intellectual property rights, and Kickstarter elected to shut down the campaign. On November 10, DSE sued Gerrold, Templeton, and ComicMix (the company running the campaign) for both copyright and trademark infringement. It’s now nearly two years later, and this case is nowhere near done. In fact, the trial isn’t scheduled to begin until next spring, and the lawyers on both sides have been VERY busy (more on that tomorrow)! But in the meantime, the legal bills are piling up. This isn’t as much of a problem for DSE, which makes money every time someone buys Green Eggs and Ham or The Lorax, not to mention royalties on all the movie remakes of classic Seuss stories. ComicMix, on the other hand, is a much smaller company…and apparently, their cash bucket isn’t nearly as deep. And unfortunately, unlike a certain fan production we all remember, ComicMix didn’t find attorneys willing to work for free. And so ComicMix has launched a GoFundMe campaign with a $25,000 goal. So far, they’ve managed to get about 9% of the way there. Author Jonathan LanePosted on July 17, 2018 July 18, 2018 Categories Crowd-Funding Blogs, NewsTags ComicMix, David Gerrold, Dr. Seuss, Glenn Hauman, Lawsuit, Oh the Places You'll Boldly Go!, Ty Templeton10 Comments on Oh, The Places You’ll Boldly GoFundMe! Feel free to read Part 1 and Part 2 if you haven’t already. 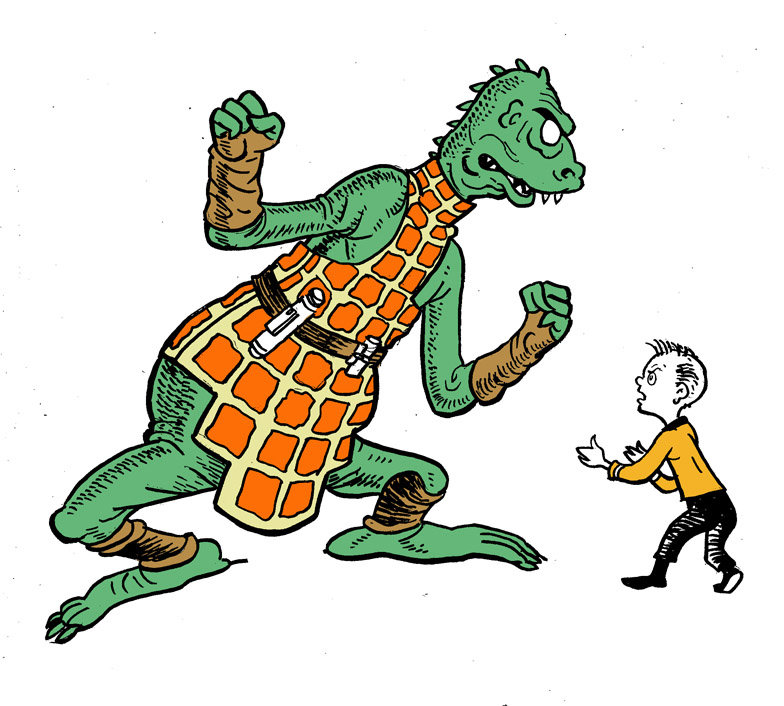 This time, we’re going to look at is the state of the Dr. Seuss/Star Trek “mash-up” lawsuit as it stands right now. Judge Janis L. Sammartino of the Ninth Circuit Federal Court dismissed the second and third complaints, leaving only the copyright infringement claim as the lawsuit…and that one was “nearly perfectly balanced” based on the “fair use” defense. But the judge did give the plaintiff a “second chance” to get those two dismissed claims back. She gave them two weeks to file an amended complaint that might change her mind about dismissing trademark infringement and unfair competition. The plaintiff did, indeed, re-file an Amended Complaint. Not surprisingly, the defendants then filed a new Motion to Dismiss. The plaintiff wants their two dismissed claims back. The defendant would like to keep those two claims dismissed and, if possible, dismiss the final copyright claim and end the lawsuit completely. The motion to dismiss centered around the “mash-up” being protected as “fair use.” And while judges do not usually rule on fair use this early in a case, the Honorable Janis L. Sammartino of the 9th Circuit Federal Court did (again for reasons explained in yesterday’s blog). So did the fair use defense work or not? What did the judge say?? ?